No Chicks or Bunnies in that Basket! The Easter Bunny is coming to town and so are the Easter Baskets. 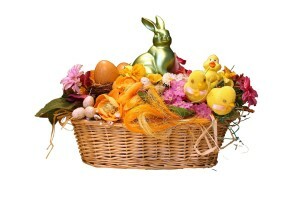 Many folks feel that adding a real live bunny or chick to those baskets is a great idea. They think “How cute would it be to wake up on Easter morning and find a sweet, little baby!” Unfortunately, this is not a good idea – at all! These fluffy bundles will grow up. And when this happens, quite often the novelty wears off; especially for a child. As the pet grows, it will require just as much care (if not more), love and protection. The responsibility of being a pet parent will not lessen as your pet matures. Many people are under the impression that they can put a rabbit or a chicken in the back yard and they can fend for themselves. This is absolutely not true. 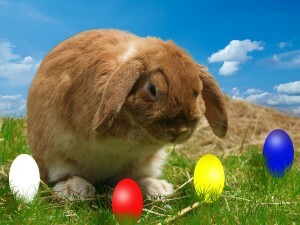 Rabbits, especially domesticated rabbits, will require protection, food and shelter. They will require socialization, love and companionship. The same rings true for chickens. 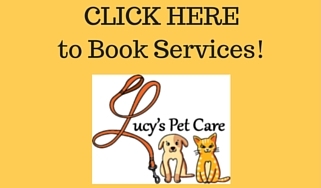 They will require all of the same basic care as any other pet. You can’t just put your pet, no matter the type, in a yard and expect it to become self-sufficient. Many pets end up in shelters and sanctuaries due to the fact that folks do not take the time to “think” over these impulse buys. Long term commitments are a requirement when you bring any new pet into your home. Please, pass on the addition of a bunny or chick unless you have done your due diligence as a pet parent prior to the purchase. Ensure you and your family are fully aware of all the responsibilities and can commit to a pet for the long haul. Then, if you still wish to add to the family, visit your local shelter to adopt! Yes, animals other than dogs and cats are available at our local shelters! Bunnies, gerbils, hamsters, gerbils, etc. are waiting for loving, lifelong homes.